Jeff Hudgins removed the hard drive from a dying computer, and via USB plugged it into a new PC. But he can't access his files. They're encrypted. I don't like Windows' Encrypted File System (EFS), and Jeff's story illustrates why. Although EFS provides what appears to be a convenient, completely transparent form of encryption, it can be trouble down the road. EFS makes sense in a business, where IS professionals manage the computers and less savvy people use them. The users don't even have to know that their data is encrypted (or even what the word encrypted means). They log into Windows and they can access their files. But if someone else logs in, or boots from a live Linux CD, or removes the hard drive, the files are inaccessible. And should it be necessary, IS knows how to get back those files. If not, did you create and export the certificate needed to decrypt the files--and did you save the certificate to a safe place not on that hard drive? 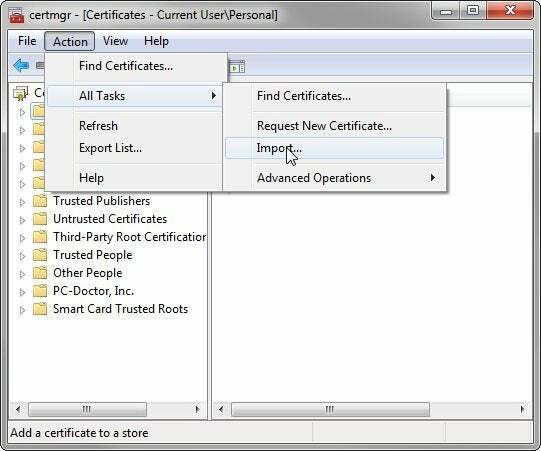 If you did, and if you can find the certificate, you can access the files--even from another computer (assuming the computer is running Windows). But if the old PC is utterly useless, you don't have a certificate, and you don't have an unencrypted backup, those files are gone. You can Google decrypt efs without certificate, but I doubt you'll find a solution that works. Stop using EFS. Instead, switch to TrueCrypt. It's free, open-source, and dependable. No matter what computer you're using it on, if you have the password, you can get in. Without the password, you never will. I don't recommend encrypting your entire drive with TrueCrypt, although that's possible. Instead, create one or more encrypted file containers, and keep your sensitive files in them. Leave the rest of your data unencrypted.